We have an empty desk. We need an intern writer. By Tanja Bezjak on 31. January 2018. Since AdCumulus took in their last intern, the startup (and the intern) have gone a long way. The number of customers has doubled! Now, we are on the lookout to expand the team again with a youngster or two. What we’re saying is we know what it’s like having to prove yourself to others, but we also know how rewarding it can turn out to be. Not only full of great ideas, but also able to shape them into beautiful and correct English sentences? An avid reader of Netokracija-like-portals, eager to learn about new technical concepts? Dead serious about deadlines, but otherwise fun? We’re looking for a student at the master’s level who can juggle university with a part-time job, has excellent English skills, and refuses to give up their social life, by which we don’t suppose (only) binge watching TV shows. 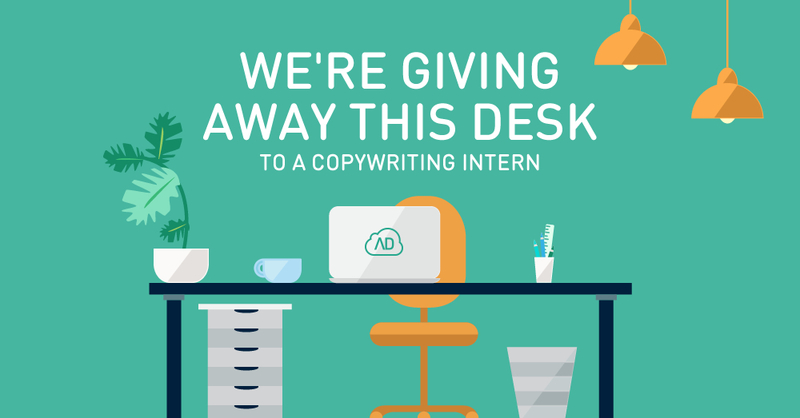 Our intern will be expected to write intelligent, concise and grammatically satisfactory pieces about various topics from the world of digital advertising and all things mobile. We offer a seat at the desk in an Instagram-worthy office, enticing compensation and work flexibility, and a safe place for all the geeky jokes nobody usually understands. Oh, and the crew? I mean, will you just look at us? And colleagues rooting for you. What should you pack in the internship starter kit? Demonstrate your journalistic spirit by writing a short article about Rich Communication Services about 500 words in English. Tell us why you’d like to work with us, and why we’d want to work with you. Optionally, link to any blogs or social accounts you manage. Submit your application in English to info@adcumulus.com before 28/2/2018. See you at your new desk!